Ranchi: The Godda district administration asked the Adani Group, which is setting up a proposed 1,600 MW power plant, to deposit Rs 200 crore in the exchequer latest by March 23 to pave way to compensate land losers for the project. Failure to deposit money within this date would scuttle land acquisition work already done for the project that aims to export power produced to Bangladesh. Under land acquisition law, land must be transferred within a year from the date of the final hearing. Failure to do so would cause acquisition work to lapse and procedures would have to be repeated afresh. In Godda, the final and mandatory public hearings under Section 19 of land acquisition law were held on March 24, 2017. Then, Godda DC Bhuvnesh Pratap Singh had asked Adani Group to deposit Rs 450 crore in the exchequer to pave way for the transfer of nearly 375 acres so that the company could begin its groundwork in the first phase. But, so far, the Adanis deposited only Rs 250 crore in phases, hence the urgency. “Formal land transfer can’t begin without our paying due sums to land donors. So long it was popularly believed that indifference of district administration officials during land acquisition was the biggest hurdle to industrial growth. But, here we completed all our jobs on time and one of the biggest industrial houses of the country is unable to pay up,” said a senior official of Godda district administration who did not want to be named. “We spent enough time and energy to clear decks for land transfer. The government also spent several lakhs, whose official records are not available right now, but future CAG reports might bring them to light. If the Adanis fail to keep their word (on payment), public resentment would know no bounds,” said another official of Godda district administration actively involved in land acquisition. Chief minister’s secretary Sunil Barnwal, who also happens to be the industries secretary, argued said the case had not come up before him yet. 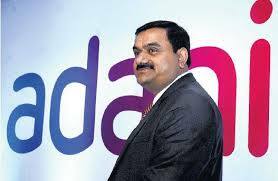 He however promised to seek detailed reports from Godda DC and executives of Adani Group. Godda DC Singh could not be contacted for comments. A senior official of Adani Group confirmed to having received Godda DC’s letter three or four days ago, but refused to elaborate on the grounds he was not authorised to speak to the media. The Adanis would acquire 1,235 acres in Motia, Patwa and Gangta villages of Godda block and Gaighat, Mali and Sonediha villages of Poraiyahat block. Of this, around 74 acres are gair mazrua (government) lands.